Warwickshire County Cricket Club was first founded in 1882 in a meeting at the Regent Hotel, Leamington Spa. They now make up one of the 18 county teams. The Warwickshire Bears play all their home games at Edgbaston, a 25,000 seater stadium used for numerous international games. In the bears history they have achieved 6 county championship trophies, 4 Pro-40 Trophies, 5 FP Trophies but are still yet to win the T-20 cup. In 2011, the Bears narrowly missed out last season on the final day of the season as they drew with Hampshire but Lancashire winning to take the Division 1 crown. Despite this heart breaking loss it was Chris Woakes who performed superbly throughout the season taking his 200th first class wicket last July and gave the Bears a chance to win the league. Warwickshire had a poor one day format as they failed to retain there CB 40 title and finished 8th inj their T-20 campaign. The feeling around and within Edgbaston for the 2012 season is that the Bears lead by their coach Giles could win the LV=CC Division 1. One key factor in this though is the Bears ability to get themselves out of tricky situations time and time again which is proving to be very tough for other teams. This was true on the first day against Durham this year when the Bears bowled Durham out for 164. However, the Bears replied with 14-4 contributed to the Bears huge hole but by the end of the first day Ian Bell hit a unbeaten 59 to not only get himself back into form but end with Warwickshire on 116-5. It is this Team Spirit and determination that will help the Warwickshire lads get out of difficult situations as a team. In the shorter formats, both 40 and 20-over, a huge improvement is needed after last year’s disappointing performances. Much attention has gone into that objective during the winter but the most alluring prospect for the 5 months ahead is of a serious challenge from the Bears to bring the championship back to Birmingham after a 8 years absence. 1. Chris Woakes: The 6 ft 1 inch, 23 year old All-Rounder is proving to be a real handful for opposing teams. 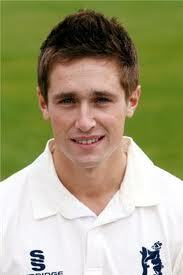 Woakes has a batting average of 33.36 runs and has taken 223 wickets in 61 first class games. Woakes has been selected by England before and is expected to make a full break through into the first team within the next few years but his ability with bat and ball could prove a key factor in the Bears title hopes. Woakes is currently injured but is expected to return at the end of this month or the start of next month. 2. Boyd Rankin is a 6ft 8 inch right arm fast-medium. Rankin is nothing special with the bat but when he gets hold of the ball he could devastate the opposing batting line-up. When Woakes and Rankin are combined you could guarantee that the opposing batting line up will struggle to get even the simplest of runs. Currently, Rankin is injured as well but when he comes back in the Bears could be unstoppable with the ball if they both play at the same time. 3. Varun Chopra is a 6ft 1 inch opening batsmen. 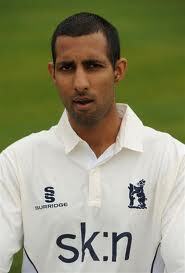 Chopra played for Essex from 2005-2009 but it wasn’t until he moved to the Bears where he really succeeded. Chopra has a average of 34.82 but his back to back double hundred last year was the moment that Chopra really believed in his fantastic ability. Chopra usually gets the bears on their way very well but when he gets in he could be there for hours and this is why he is one of the key players due to this danger. 4. 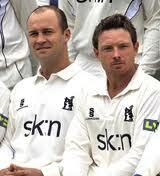 Jonathon Trott & Ian Bell. When these 2 English batsmen are not being used by England they are usually very reliable. Warwickshire always would love to have them playing every game but this is not possible but when they do return form international duty you can expect a good batting performance. 5. 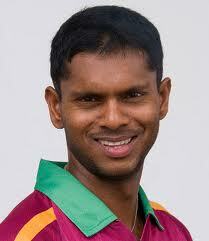 Shivnarine Chanderpaul born 16 August 1974 is a former captain of the West Indies. Chanderpaul is one of the top ranked batsmen in the world under the current ICC test rankings, and is currently ranked number one. This is why the Bears are so lucky to have him in there squad as the overseas player. Chanderpaul will not be available for every game due to international duty but when he does play he will be one deadly batsmen for the opposition. Warwickshire C.C.C are favourites to win the league but it won’t be easy but I strongly feel that this is their season to show everyone what they can do.